73 games into the 2015-2016 season and the Pittsburgh Penguins control their own playoff destiny. 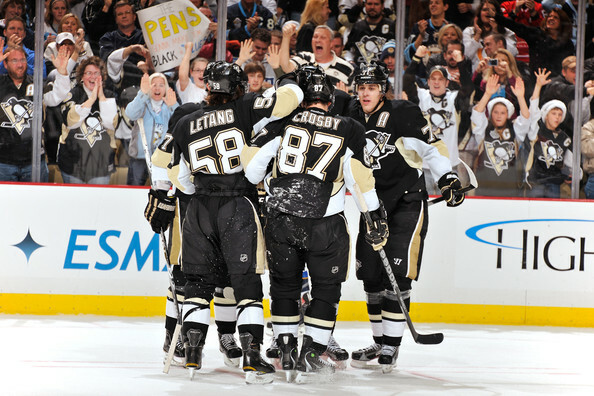 At this point in the season, it's not whether the Pens will be in the playoffs or not, it's about their placement. Pittsburgh could end up anywhere from second in the Metropolitan Division to the second Eastern Conference Wild Card spot. Preferably the Pens will want to win the remaining nine games in the regular season and make no mistake about grabbing the second Metro spot. That would assure home ice advantage until they see the Washington Capitals. The remainder of the Pens schedule is full of games against Metro opponents battling for second and third in the Metro as well as an Eastern Conference team fighting for the two Wild Card spots. The Pens already blew their chance at essentially eliminating the New Jersey Devils from playoff contention on Thursday night on home ice. A place they have played particularly well as of late which goes back to the point of wanting that second Metro Division playoff spot. Important injuries are piling up for Pittsburgh as well which will prove just how resilient this team is. Malkin has been sidelined for a week already with a wrist injury and is expected to be out at least another four more weeks. Olli Maatta suffered a lower body injury last night and is listed as week-to-week. Brutal. Saturday afternoon's game is against a Detroit Red Wings team that is merely three point behind the Pens. After that, the Pens see the New York Rangers once, the Washington Capitals once, the New York Islanders once and the Philadelphia Flyers twice. An incredibly crucial time to be facing such teams. The season and where in the playoff seeding the Penguins end up will likely go down to the final game of the season. Win and pave a good playoff path, lose and the playoff road gets that much harder.